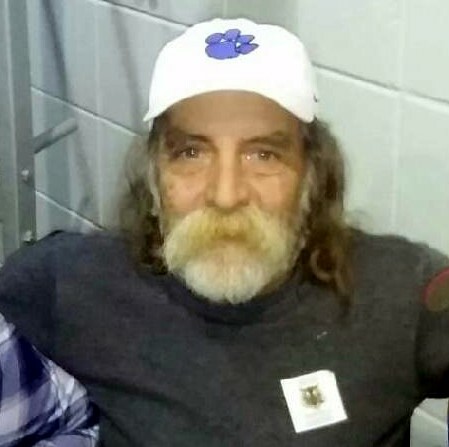 Bob “Papaw” Bellomy, 63, of Ringgold passed away Monday, February 04, 2019 at his residence. Bob was born in Naples Italy, was a 1972/73 graduate of Kecoughtan High School in Hampton, VA, and has lived in the North Georgia area for over 30 years. He worked in the automotive industry for most of his life and was well known for his mechanical and painting abilities. Bob could be seen throughout the years at Graysville Elementary, Ringgold Middle, and Ringgold High Schools enjoying lunches with his grandchildren and attending field trips. His passions in life were spending time with his family and watching NASCAR. He was an avid Earnhardt fan. He was preceded in death by his parents, Bill and Rachel Wiggington McCaffrey Bellomy; mother-in-law and father-in-law, Frank and Betty Jean Stowe; and brother-in-law, John Polak. Survivors include his wife of 30 years, Donna Bellomy; three daughters, Elaina (James Porter) Stowe, Crystal Branch (Anthony Griggs), and Barbara Branch-Bellomy Ramirez (German); brothers, Hugh (Cindy) Bellomy and Hank (Mylene) Bellomy; sisters, Nancy Polak, Margaret Sansbury, and Mary (Gary) Taylor; fifteen grandchildren, Raquann, Tyrese, Mia, Omeasha, Ahjinay, Ashanti, Chelsea, Tahjinique, Robert, Ania, Freddie, Anthony, Marcos, Christopher, and little Bobby; two great grandchildren; and several nieces and nephews. And special friends of many years, Marty (Donna) Mann. In lieu of flowers donations may be made to the Salvation Army at http://csarmy.org/. A Celebration of Life will be held Saturday at 12 noon in the South Crest Chapel. The family will receive friends Saturday from 10a.m. until the funeral hour at the South Crest Chapel of Lane Funeral Home and Crematory, located at the end of historic Missionary Ridge, Rossville.